The Montana Council is pleased to announce the reconstitution of the Montana Council Conservation Committee. Conservation and the Boy Scouts of America share an interlaced history. The BSA’s earliest leaders recognized the inherent values of conservation activities and made those principles critical to the core of the Scouting experience. Montana Council is specially located in an exceptional environment to teach and promote conservation for all Scouts and Scout Leaders. 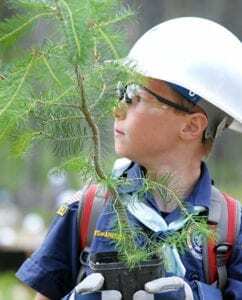 This committee will work with and provide professional support to you as we integrate conservation into all aspects of the Scouting experience, including unit activities, summer camps, outdoor adventures and award programs. Click here to see the full Montana Council Conservation Committee Charter 2016 including a bit more background, our mission statement and a brief breakdown of Committee Member opportunities. If you are interested in learning more about the Montana Council Conservation Committee or assisting in any way, please contact Chris Servheen at grizz@umontana.edu. If you have experience or background in natural resources conservation, we would love to hear from you about what you can contribute.